After around 10 months of working two jobs, I was about ready for a vacation. As luck would have it, our friends decided to throw a joint bachelor/bachelorette weekend at Tybee Island over Memorial Day weekend. My wife (Andrea) is slowly but surely becoming a bit more of a Southerner (she just started mixing sweet tea and Yankee tea together) and she had never been to the Georgia coast before. I thought that this would be the perfect opportunity to enjoy a bit of a re-inspired road trip through Savannah and Tybee Island. 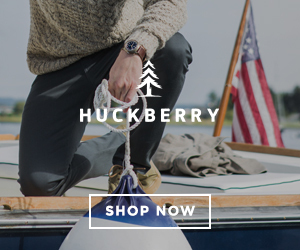 Shop for the best deals on Savannah hotels. Andrea and I began to map our basic agenda out and planned on hitting the road early so we could explore before the bride and groom made their way down. Just as we were discussing which car we should take, luck would seem to have found its way around to me again. 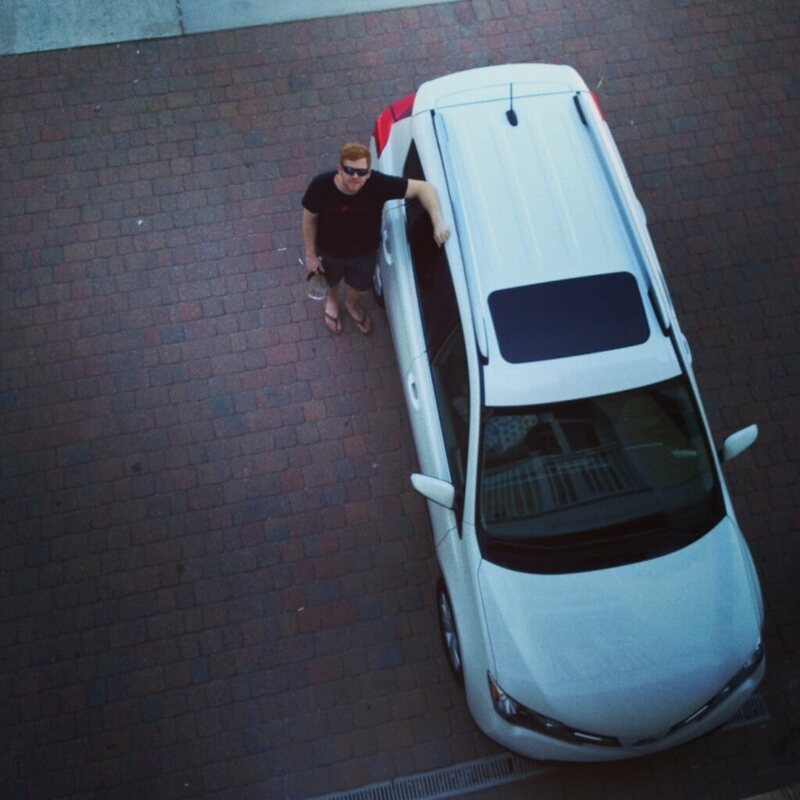 I had just received an email saying that Southeast Toyota Distributors wanted us to enjoy the all-new 2013 RAV4 for our weekend trip to Tybee Island (see below for full disclosure)! Of course, I took them up on the offer. I kicked off my Thursday afternoon on a good note by leaving work early and heading over to the dealership to pick up the 2013 RAV4. Occasionally, I geek out about things like engines, stereos, buttons that say “Sport” on them, so I couldn’t wait to hop in the car. I’m sure the folks at the dealership that it was a little weird that I was taking photos before I left. My first test of the new 2013 RAV4 was to take it through Atlanta traffic on my way grab a few beach essentials at Moondog Growlers. After a night of packing up, tinkering with buttons, and excessively using the remote open/close tailgate button, I finally settled down before a few hours of driving on one of the most boring strips of highway ever. If you’re looking to make a few pit stops on your way to Savannah/Tybee Island, I suggest going through Macon for a Nu-Way Weiner (hot dog). We, however, pushed on through Macon, Dublin, and yes, we even decided to skip of Statesboro. The never ending patch of highway known as I-16 gave me plenty of time to test out the new 2013 RAV4 though while Andrea enjoyed napping 85% of the way. When I picked the car, it was set in “Eco” mode. This ended up being great for our gas mileage, which I appreciated a lot. That said, I couldn’t help myself, so I frequently enjoyed the “Sport” mode for passing 18 wheelers and campers with way too many bikes attached to the back hanging on for dear life. One of the surprising things about the new RAV4 was how nice the ride was. I-16 isn’t known for being a quiet highway by any means, and the road noise was pretty limited while the ride quality remained smooth. I was telling Andrea that this is a small SUV/Crossover that has actually accomplished something that most manufacturers have been trying to target for awhile in this category; providing a nice ride height, room and storage like an SUV, while providing a car like drive which many people prefer. As we passed by Macon, we continued on our journey. It’s been awhile since I’ve been to the area. Actually, the last time was the Halloween while visiting my college roommate a few years ago, and I had just discovered that Historic Savannah has no open container law. Needless to say, the city looked a little bit different this time around. Andrea could tell I was fatigued after a 4.5 hour drive and knew exactly what I needed to lift my spirits… Spirits of course! 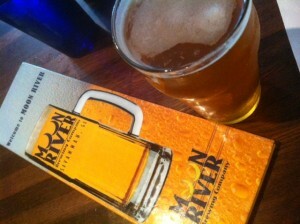 We walked over to Moon River Brewing Company (supposedly one of the most haunted buildings in Savannah) and enjoyed a quick bite to eat and a couple imperial pints. The brewery has your basic popular styles that should satisfy a broad range of drinkers. The IPA was pretty solid, and it looked like the serve a few special casks every now and then too. Overall, it’s a great place to visit for a big, refreshing beer. The next thing we did was take the obligatory River Street stroll. There were plenty of festivities and live music (military bands) out by the river to ring in the weekend. Even though River Street is the touristy part of Savannah, it still holds a lot of charm in the historic streets and buildings that line the river. Grab a beer, and watch a ship or two go back and forth. At sunset, you can head back to the area for Rocks On the River, which sits on top of the Bohemian Hotel. You can’t make a weekend trip to such a historic town and not take a tour around the city. There are a variety of tours you can take. Some are pub crawls, some are haunted tours, and others are your straight forward historic tours. We wanted to make the most of Savannah and its unique traits, so we took the tour that fit our idea of fun, and Savannah’s idea of a fun historic tour. 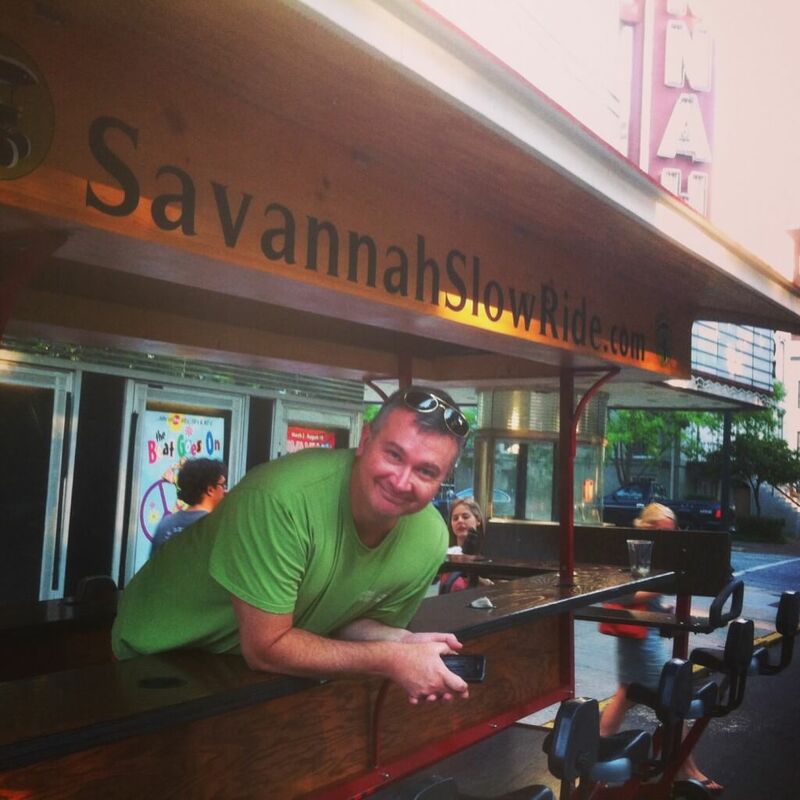 After seeing a group of people pedaling on a what seemed like a bar on wheels, we hunted down Savannah Slow Ride. The unique tour allows riders to pedal through historic Savannah while enjoying a convenient BYOB open container rule that allows you to stay refreshed throughout the easy ride. In between historic stops, you get to break for a few other refreshments a long the tour in the City Market. It was pretty unanimous amongst our group that this was a must if you’re in Savannah for the weekend. Our tour guide was pretty great too. 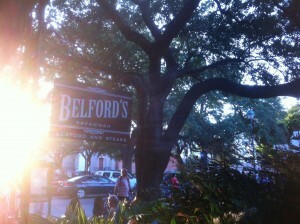 After touring the city, we grabbed dinner at Belford’s in City Market. Our soon to be wed couple in the group, who will be getting married in Napa, seemed to enjoy the wine list. I grabbed a Loose Cannon IPA and had the Shrimp, Greens, & Grits on the menu. For the first time ever, I will say that “the greens were awesome.” Our friends Chris and Trey shared the fried green tomatoes as an appetizer and let Andrea and I split one. I highly recommend you start off your meal with those. While it may seem like we spent a lot of time in Savannah, the majority of our time was spent on the island, enjoying life by the beach. The tide on the island was out so far it seemed to be about 50 or more yards from the boardwalk to the ocean. The current seemed to be pretty strong, but we forged our way to the sandbar and ran into a surprise. As we walked further into the ocean, Andrea said, “I saw a fin!” Naturally, we backed off a bit (one of our friends continued walking in further.) After the first fin popped up, we saw another, and then another. Before we knew it, we were surrounded… by a pod of dolphins. About twenty feet away, dolphins (including calfs) were swimming right in front of us. This was probably the most exciting thing that happened around the beach during our entire trip, which was perfect for us. We were looking forward to reading and taking naps the whole time. Full Disclosure: Southeast Toyota Distributors provided us with an all-new 2013 RAV4 for our weekend at Tybee/Savannah. 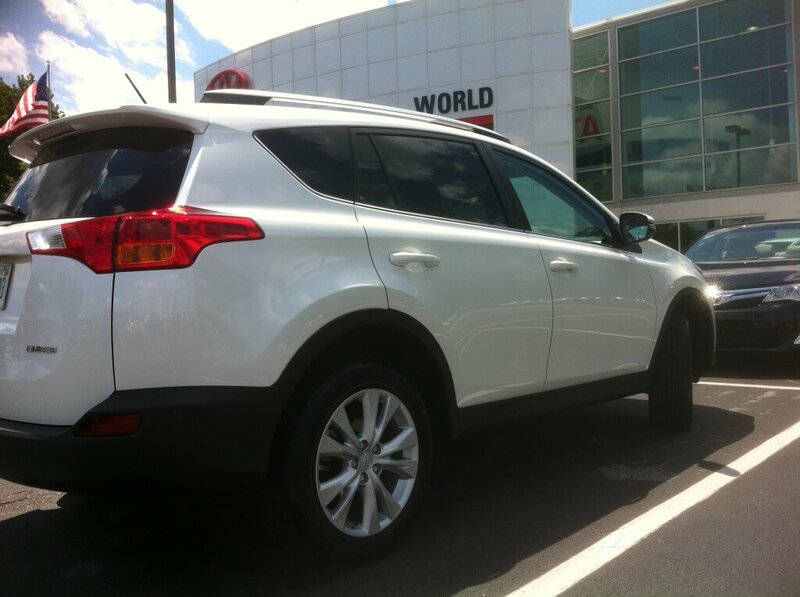 There was no payment made in exchange for our awesome weekend with the new 2013 RAV4. 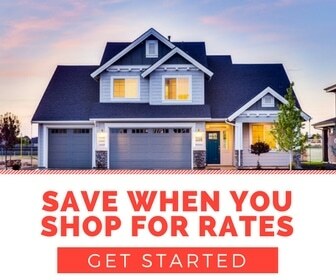 For more information about our Full Disclosure policy, you can read more here. Nice article. We are seriously thinking about taking a trip to Savannah and Tybee Island, so this was extremely informative, not to mention timely. 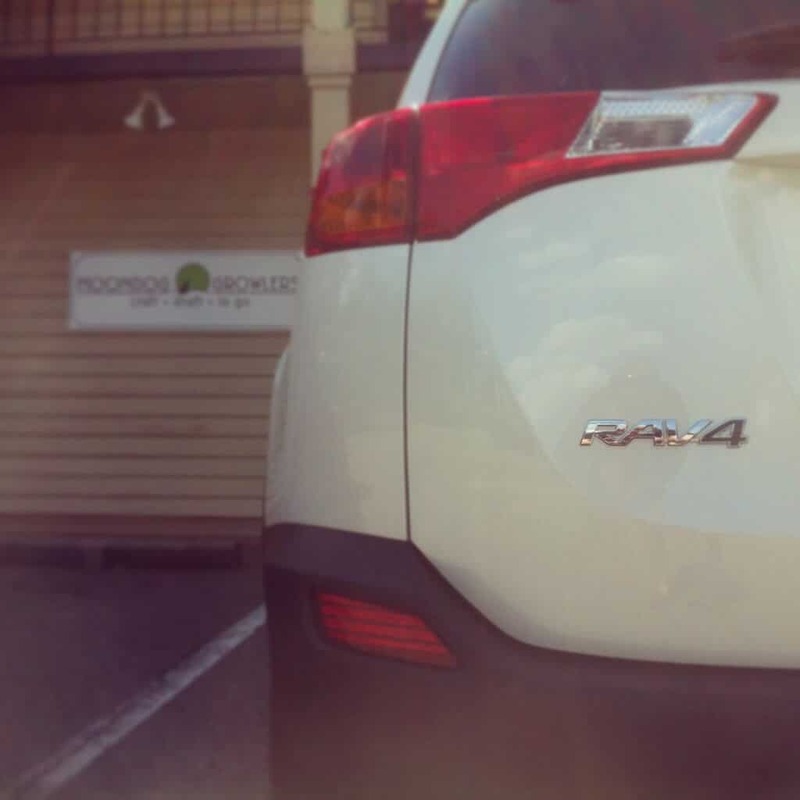 And now I really want a 2013 RAV4! Thanks A LOT! E P I C .